Super Bowl LIII was held on February 3, 2019 at Mercedes-Benz Stadium in Atlanta. It was the first time the Super Bowl had been played at the new stadium, and involved several years of planning, thousands of volunteers, and countless hours of efforts by the Atlanta Super Bowl Host Committee. The city welcomed hundreds of thousands of visitors and hosted a world class event that will be remembered for years. How did they do it? What role did strategic and tactical communications play in gearing up for one of the most watched annual sporting events around the world? Join IABC Atlanta’s guest speakers Lee Hendrickson, Vice President, Community Engagement and Volunteer Programs, and Jen Johns, Vice President, Marketing and Communications of the Atlanta Super Bowl Host Committee as they share their story of how they used communications best practices to make Super Bowl LIKI an Atlanta success story. Lee designed and led the operations of Team ATL, the 10,000-member volunteer program serving as ambassadors throughout the week leading up to Super Bowl LIII. She also led the Atlanta Super Bowl Host Committee’s community engagement strategy to make a positive, lasting impact across Atlanta long after the game. The initiative, called Legacy 53, includes five pillars: Business Connect, Capital Improvement, Civil Rights and Social Justice, Sustainability, and Youth Engagement. Her work included partnerships with the National Football League and various local stakeholders to enhance the Super Bowl LIII experience for the metro area and beyond. Prior to her role with the Atlanta Super Bowl Host Committee, Lee served in a similar role for the College Football Playoff National Championship volunteer program. Her Human Resources leadership includes innovative approaches to develop culture and performance, with recent stints at Georgia Tech from 2014 to 2016, as well as the Arthur M. Blank Family of Businesses from 2010 to 2014. She is an active member of the Atlanta chapter of the Society for Human Resource Management, including service as special youth projects chair. Lee is a Sylvania, GA product and a graduate of Furman University with a Bachelor of Arts in psychology. She is scheduled to receive her Master of Business Administration from Georgia Tech in 2019, concentrating in Strategy and Innovation. As the VP Marketing and Communications for the Atlanta Super Bowl Host Committee, Jen was responsible for marketing and communications strategy for key programs surrounding the game including Legacy 53 initiatives e.g. civil rights and sustainability, as well as volunteer recruitment, key event promotion, general fan information and emergency preparedness. 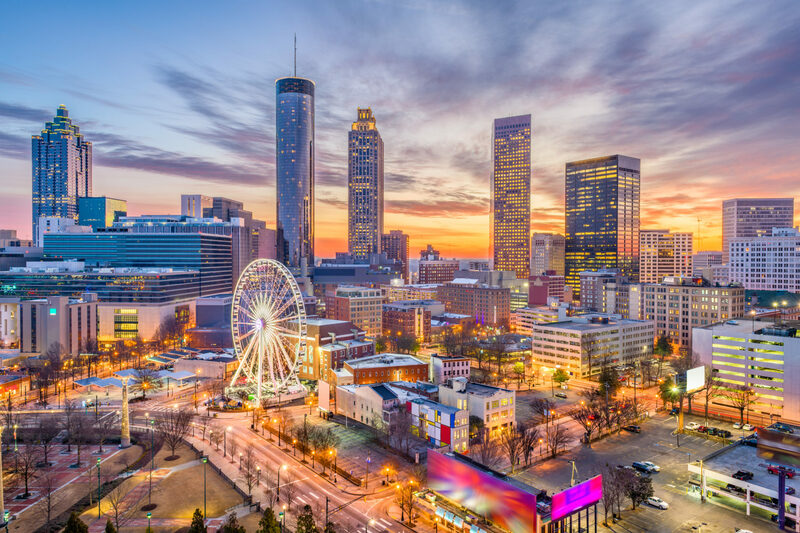 Considered the “best ever Super Bowl,” Atlanta drove over 200,000 fans to sanctioned events, and earned over half billion impressions across the 18 day period. Prior to the Atlanta Super Bowl Host Committee, Jen spent the last three years at AMB Sports + Entertainment, where she served as Director of Marketing and Brand, leading marketing and creative services for the Atlanta Falcons and Mercedes-Benz Stadium. 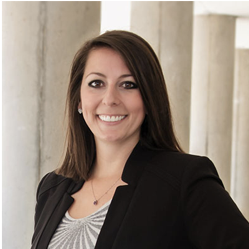 While at AMBSE, Jen and her team launched award-winning campaigns for both entities, including the Atlanta Falcons seasonal, playoff and Super Bowl campaigns, repositioned the Atlanta Falcons brand and created the grand-opening marketing plans for Mercedes-Benz Stadium. Johns also served on the NFL Marketing Steering Committee with marketing leaders from across the league. Jen currently serves as chairman of the board of the TransAtlantic Sports Group uniting German and US soccer leadership to grow the game in the US and serve international teams with talent development. Jen holds a Bachelor of Science Degree from the College of William and Mary and a Masters’ Degree from Ohio University. She and her husband Rob along with their two boys reside in Decatur, GA.